Is it really impossible for the PAP to change? After the 2011 General Election, I had sent an email to Prime Minister Lee Hsien Loong to thank him for the sense of fairness that was apparent (at least to me), in that election. Except for a couple of incidents, I felt that there was more civility and decency in that election, then all the others I had witnessed before, and felt that the Prime MInister had a part to play in that. Fast-forward to By-Election 2012, the ruling Party - of which the Prime Minister is the secretary-general of - has certainly broken the rhythm from GE 2011. I had commented about PM Lee announcing the call for a by-election saying, 'the PM Lee knows how to play politics'. He had indicated in that FB note that the by-election had to be called because of what the Workers' Party (WP) has done - sacking one of its member, and the member of parliament for Hougang, putting the reason for the election squarely on the shoulders of WP. I appreciated that FB note of the PM's, because I felt that he had craftily and like any good politician, put the WP on the spot, without calling into question the character of anyone. But that were all to degenerate in the hustings of the by-election. Mr Low Thia Khiang, the secretary-general of Workers' Party was right when he said at the media conference just after election result was announced that the "PAP said this is an honourble fight, but...they used tactics to smear our reputation". 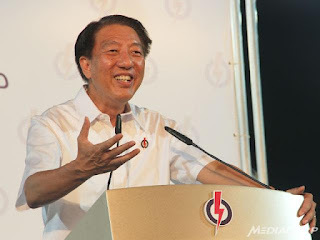 Deputy Prime Minister (DPM) Teo Chee Hean, who appeared to be the big gun appointed by People's Action Party (PAP) to help Desmond Choo wrest back Hougang from WP, stopped short of calling Png Eng Huat a liar, but he made comments like, ‘have not been upfront', 'not truthful' 'may not be the best man for the job', which reminded me of PAP's character assassination of James Gomez in General Election 2006. I agree with Bridget Welsh when she said, that "the PAP tactics are outdated (and that) the reality is that personal attacks are not what people are interested in. Rather they want solutions for the problems they face in their daily life, from the MRT to jobs." “The PAP just is missing the point in how it engages politically, as it is not adapting to the new reality of different needs and new expectations of a more empowered electorate." I was even more surprised to read how the DPM Teo reacted to Mr Low. He responded by saying that Mr Low can seek redress "through legal actions if he feels it's necessary". It's indeed sad that the PAP has not moved away from the 'defamation suit politics' and is stuck in the past. What's even more amusing is DPM Teo's subsequent comments on Mr Low's media conference. "He (Low Thia Khiang) had a very combative tone last night which really, really surprised. But I do hope that he will move away from the combative tone which he took during the by-election and work in a constructive way with the government." If DPM Teo or the PAP were to think that they bettered the result in Hougang from the previous elections, because of such gutter politics, they are mistaken; for as Jeannette Chong-Aruldoss rightly pointed out in her FB note, that even if percentage-wise the PAP has done better than GE 2006 and GE 2011, they had actually gotten lesser votes than they did in GE 2006. 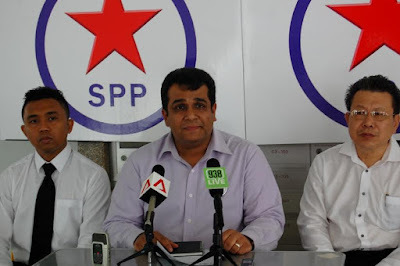 I echo the sentiments of people who have remarked that there has to be a change of style in the way PAP does politics. It will be indeed sad if the Party has not realised this by now. I extend my heartiest congratulations to Png Eng Huat for being elected to be the Member of Parliament from Hougang SMC in the 2012 by-election. Teo Chee Hean challenging Low Thia Khiang to sue him in a court of law only reminds people of what they really think of our courts of law in such situations. So why did Png say he was not on the list when he is? a convenient slip? LTK was combative, only unfortunately in front of his massive supporters? what has he been doing in parliament where is is supposed to represent the interest of the people who voted him in. Not a pipsqueak on many of the issues that his voters has brought out?